For #20 - Mellow Yellow. These are blooming right now in my front yard flower bed. If you have pollen allergies, keep your distance! #11 - Pretty in Pink. 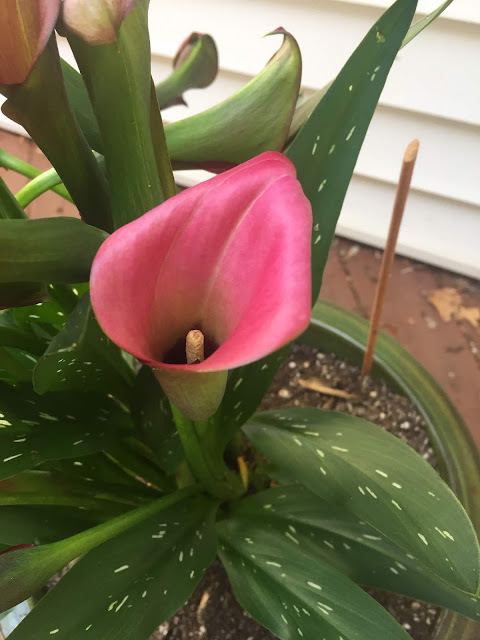 Potted Cala Lily plant on my back deck. I'm sure you'll soon make up for lost time! I absolutely love Cala Lillies, the waxy texture of the petals is so lovely. 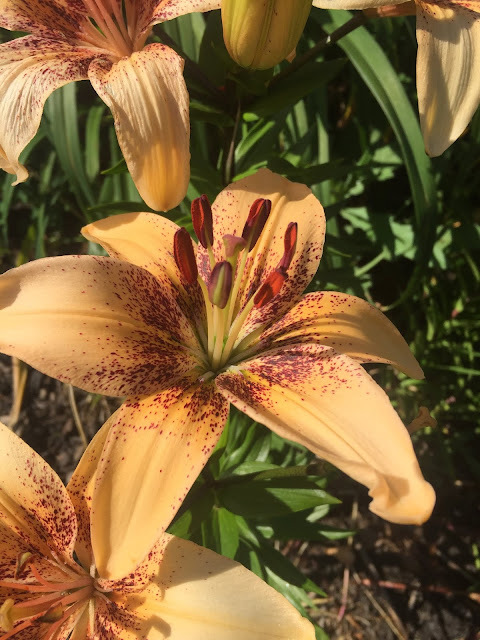 And an added bonus, they don't shed that pollen that other lilies have which stains everything it comes into contact with! Wonderful finds, I like Deb, like Calla Lilies & your pink one is perfection. 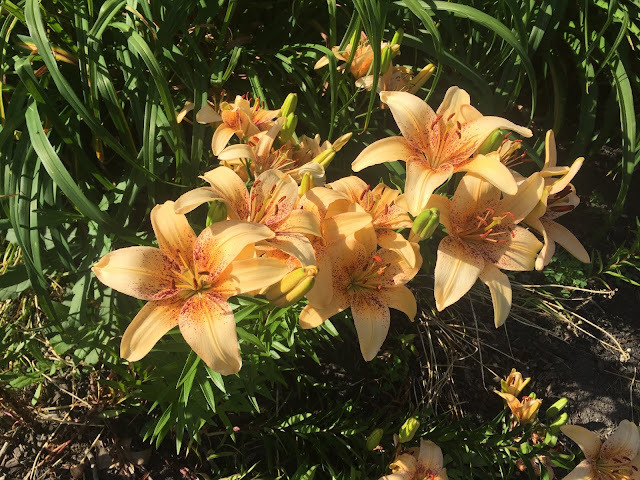 I would be getting my nose real close to your lilies, one of my favourites & thank fully no allergies to speak of. Fantastic photos! I love your choice for mellow yellow. Oh, such lovely finds right in our own yard!! These are great! How lucky to have two wonderful finds in your own yard!